New York City’s massive food waste composting program has hit a snag: the main plant that took in the city’s compostables closed down in late October. A few other plants have been able to take on some extra waste, but a sizable chunk of those vegetable peels, coffee grounds, and animal bones are now going to the landfill. Perhaps NYC ought to figure out how to leverage something else it has in abundance: ants and other bugs. 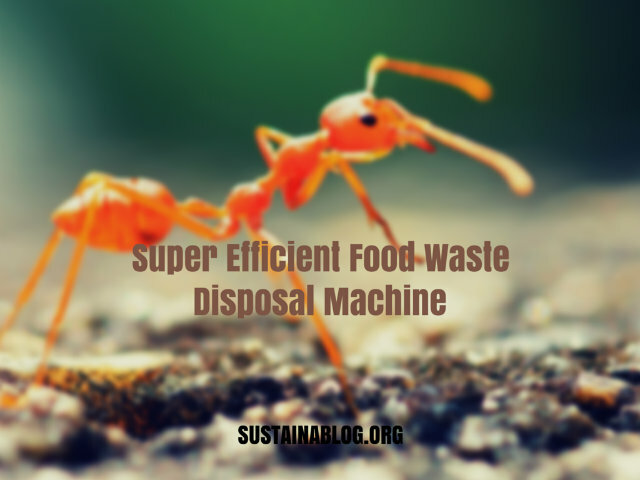 A new study from North Carolina State University published in Global Change Biology dug into the ability of arthropods (insects, spiders, and millipedes) to dispose of food simply tossed on the ground (which, unfortunately, happens everywhere). The researchers focused on the Big Apples, and spread potato chips, hot dogs, and cookies in parks and street medians around the city, in various kinds of containers (or none). They discovered that bugs, versus the other trash-eaters in an urban environment – rats, birds, and other vertebrates – were much more efficient in terms of disposing of that food waste. Furthermore – and contrary to common wisdom – bugs do this without spreading disease; rodents and birds, on the other hand, not only left more waste behind, but also can threaten the health of human populations. So, what does this mean in practical terms. Well, for one thing, all of those lists of things not to compost: ignore them! Many give “attracting bugs” as a reason for excluding certain wastes, and, obviously, that’s a good thing (there’s also the fact that “compost” is poop – bug poop, microbe poop, etc.). For larger-scale trash disposal efforts, it may mean that introducing certain species of arthropods speeds up the process: the researchers found, for instance, that food waste in medians went even faster because of the presence of pavement ants, which are much more efficient than their “country cousins” in the parks. Most interesting for the scientists was the discovery that biodiverse settings aren’t necessarily best for food waste disposal: you definitely want certain species for that task. So, should you not worry about that line of ants to the trash can? Well, you probably still don’t want bugs in the house… but they’re definitely preferable to rats! And the bugs in the compost bin? Celebrate them… and keep them fed. Previous article Could wheat allergies be a pesticide problem? Could wheat allergies be a pesticide problem?